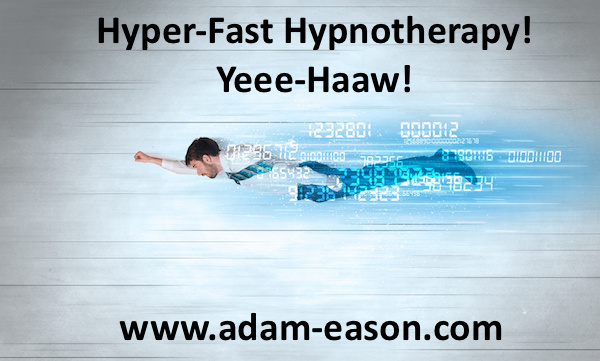 Then loads of other fellow like-minded hypnotherapists joined in, laying the boot in to anyone and everyone who ever takes more than 30 minutes to cure their client of depression, or anything else for that matter. It seems that if you do not offer the latest super fast, hyper mega quick therapy intervention that cures anxiety, depression and every unwanted habit in a flash, then you have not been trained properly and are simply not awesome enough to be a member of the super cool, ultra fast zoom therapy brigade who yell “YEE-HAAW!” on the hour every hour to remind the world how fast they are going (more “YEE-HAAW!” action later). Now, you know what? I’m going to sober things up a little bit. There is currently virtually no evidence to support such super speedy claims. When you examine the research, the latest concocted techniques marketed to the circles of willing listeners are pretty absent. The claims can be supported by little more than anecdotal claims made by the creator or the trainer. This is rife in the field of hypnotherapy. However, what credible studies by Holroyd (1980), Elkins et al. (2007), Crasilneck (1990), Johnson and Karkut (1994) have highlighted is that the efficacy of hypnotherapy for smoking cessation is increased when you increase the number of sessions and create a more comprehensive programme for the individual. This would seem to fly in the face of masses and masses of hypnotherapists who still offer one-off single sessions for smoking cessation. Yet the majority of hypnotherapy training on offer does not teach as much and they continue to perpetuate the marketing of single-session stop smoking sessions. Some of the strongest evidence that the field of hypnosis has is in the treatment of Irritable Bowel Syndrome (IBS), go read the research published in the Lancet by Whorwell et al. (1984) and then the follow-up 1987 study, or the research of Palsson et al. (2002), with their studies or the many other studies on this topic here. You see, when you do read them, you’ll see that there is no secret technique, no master key, no singular notion – instead persistence and investment of time and development of self-efficacy is key. The evidence shows that typically 7-10 weekly sessions yields the best results. Additionally, the most evidence-based approaches to therapy in general all typically tend to involve a prolonged treatment plan whereby a depth of consideration is given and tailored for the individual. Hypnotherapy is typically a brief therapy. 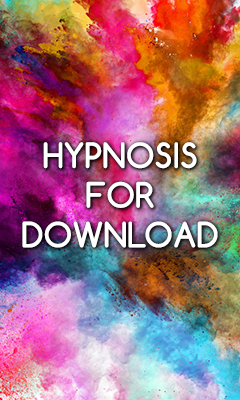 Founder of modern hypnotism James Braid typically saw his clients for 4-6 sessions and the evidence would suggest that this is typical of the modern field. This is miles better than the kind of average session numbers Sigmund Freud had with his patients (totaling hundreds!) but this has not seemed to quell the appetite for something that has higher RPM! Why then, do you suppose, that forums are filled with commentary suggesting that actually far less sessions are needed or far less sessions are desirable? The evidence across all talk therapies tends to indicate that a working alliance is a very good predictor of therapeutic outcomes. Though I would question what kind of working alliance is being developed in the super speedy lightning therapy session. Being a supportive, positive ongoing support and influence in the client’s life for a period of time while working with them is an important role. Likewise, many people may go to see the creator of a technique, or invest lots of money in seeing a well-known trainer recommended by one of their graduates or students – and they respond well because of the expectation, because of the awe afforded to that individual, because of the reputation, because of the way it was sold with such belief and enthusiasm by the referring individual….. But the technique is then working for reasons over and beyond those that are being taught to others and the same mechanisms may not be present when someone else is using the technique. Are those offering these incredibly brief and fast promises of rapid change systematically following up all of those that they work with and seeing how they are doing 6 months later or 12 months later and 18 months later? This is what is expected and carried out in quality research. Quality research will give neutral follow-up statistics. Are the purveyors of the 30 minute cure-all technique following up in this same systematic fashion to support their claims? Of course they are not. But they have testimonials to prove their results!! Of course they do – testimonials highlight some of the people for whom the ultra lightning intervention worked for quite soon after they had the treatment. They do not publish reports of people for whom it did not work for, do they? Do they give accounts of those who were followed up 18 months later to see how they progressed? Rarely. And even if they do share an 18 month follow-up, is that single person representative of most of those who engaged in that same process? Perhaps they are an exception themselves? I could go on with the critique of the faster the better mindset in therapy, but I’m not going to, I just wanted to offer up some alternative thought process…. Isn’t it ok for us to slow things down? Isn’t it ok to be thorough and diligent? Isn’t it ok to responsibly examine what the evidence would suggest rather than a well sold anecdote or loudly marketed protocol? As you can probably tell, I have little interest in becoming the therapist equivalent of the Dukes of Hazard who sprint to the General Lee, jump in through the windows, thrash the living daylights out of the engine and scream “YEEE-HAAAW!” as they fly over a ramp and land with several shoulder jarring bounces and thuds, because the adrenaline will subside and you only find the same desire to scream like that by doing it all again repeatedly. I’d rather have due diligence, an occasional gentleness, time to digest, adequate and insightful reflection, deep consideration and responsible adherence to evidence based consideration with my clients. I’d rather tailor solutions not just blanket approach them all with a technique that has been sold and marketed well but has no evidence to support it. I’d rather equip clients with lifelong preventative coping skills and help them develop self-efficacy. My final thought on this is a question… If the 30 minute depression truly exists, then why do we still have depression? Why is the world not free of depression? Why are the current WHO (World Health Organisation) statistics demonstrating that depression is vastly increasing around the globe and why are so many mental health organisations so focused in on heightening awareness on depression currently? The guy with the 30 minute lifetime super speedy cure is the answer, isn’t he? WHO and MIND and the Mental Health Foundation, and all the depression researchers throughout history, are they wrong and ill-informed? Have they not done the right research? Have they all just not discovered the guy with the answers yet? Are they all blind, all wrong, or is Big Pharma is obscuring them, or some other lame excuse…. because surely the super speedy 30 minute depression cure guy knows better than everyone else, no? I’m all for experimental approaches, I’m all for advancing what we do, but I genuinely do not think that faster is always better, and I think it holds back the progress of the field to keep on pitching the idea that the fastest is the best – it is a thinly veiled facade most of the time. Simply that I rail against therapies that set out to work for longer than maybe necessary. ie. starting out by telling someone who you work with that we use a 10 session approach. The founder of Cognitive Hypnotherapy, Trevor Silvester summed it up very nicely for me… when he talked about change-work being little like cutting a loaf of bread. You see his wife purportedly has very neat slices… whilst Trevor used to have messy crumbly wedges because he was using too much force! The difference being he explains is that his wife cuts to the speed of the bread! I think we can take this metaphor a little further and explore how we can make our knives sharper but having one blade that we power through every loaf regardless of size, shape, or nutty texture may result in some quick bread chunks… but would they make a beautifully shaped sandwich that you’d serve in the savoy? I would never advocate taking longer than is necessary. Likewise, and my point in writing here today, I would never advocate taking shorter than is necessary. Those insisting that less is always better, just because it is, create problems for this field in my opinion! Thank you for taking to write and say that, I really appreciate what you’ve written. I’ve often use the metaphor of winning the lottery as the instant change that people seek. An instant cash windfall can indeed happen and the life of the winner can indeed be transformed instantly and permanently for the bliss of all involved. However, it can also happen that all that money, no matter the quantity, will not last long. The winner, having not earned money or the skills to spend wisely or the skills to maintain the wealth, let alone invest and have it grow, may be worse off at the end of the whole experience. When an individual creates their own success, whether alone or with the guidance of another, they will know how to maintain that level of achievement or regain it if it’s lost. And that level of skill can take time. It may be cliché but it’s not (just) about the goal, it’s about who you become as you strive to achieve it. Self-efficacy is absolutely the key to long-term success. Quick change is pointless if it cannot be maintained long-term.